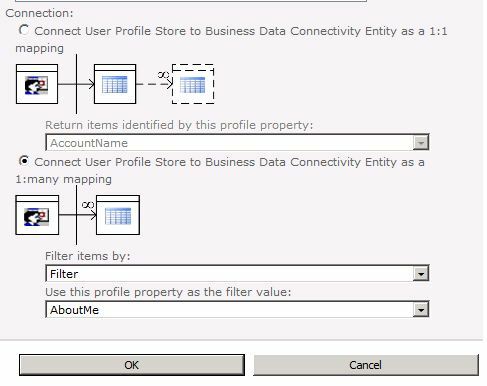 When setting up a User Profile Synchronization connection using Business Connectivity Services (BCS) I found that the 1:many mapping option was disabled. This was because the External Content Type only had a Read Item operation. Once I added a Read List operation with a filter on the input parameters, the 1:many mapping option was enabled. 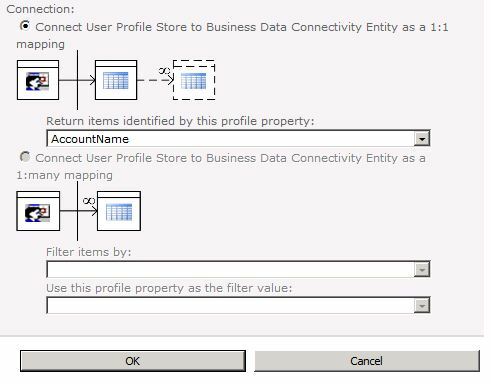 This entry was posted in SharePoint and tagged BCS, Microsoft, SharePoint 2010 on July 18, 2012 by richardstk.